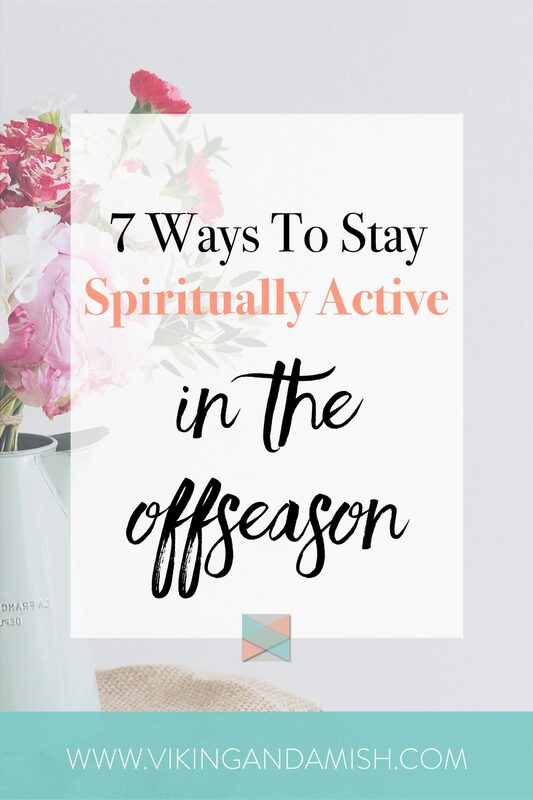 Lately, I have been in an “offseason.” By that, I mean that I haven’t been actively involved in running missional school programs or been active with a church program. After years of missions, serving, leading ministry, coaching, and studying, I found myself, surprisingly, in an offseason. I’m not burned out, but I will admit I am quite enjoying not having too much going on right now. One thing I noticed is that I am not missing all the hours in the prayer rooms, group intercession, lectures, and worship meetings. Regardless, I am still active in my faith. I don’t feel lost! 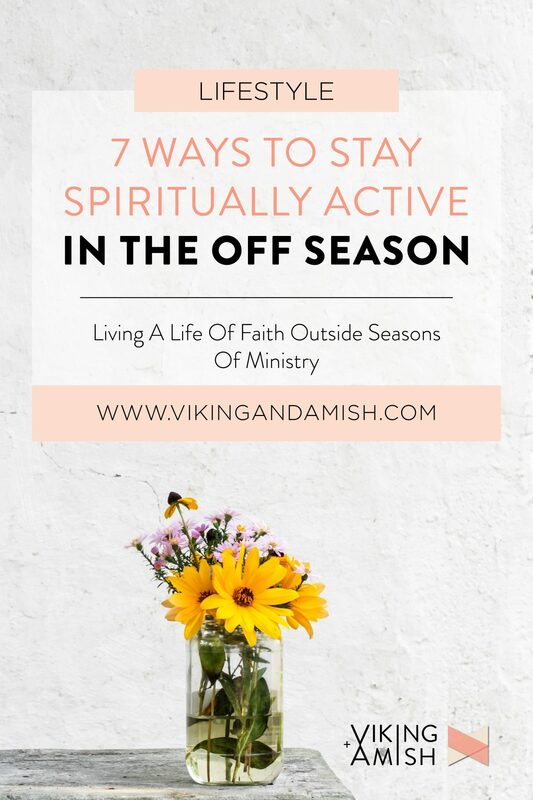 It’s just that I am involved in other things that aren’t church or ministry related, and I simply spend less time in Christian ministry settings because of it. 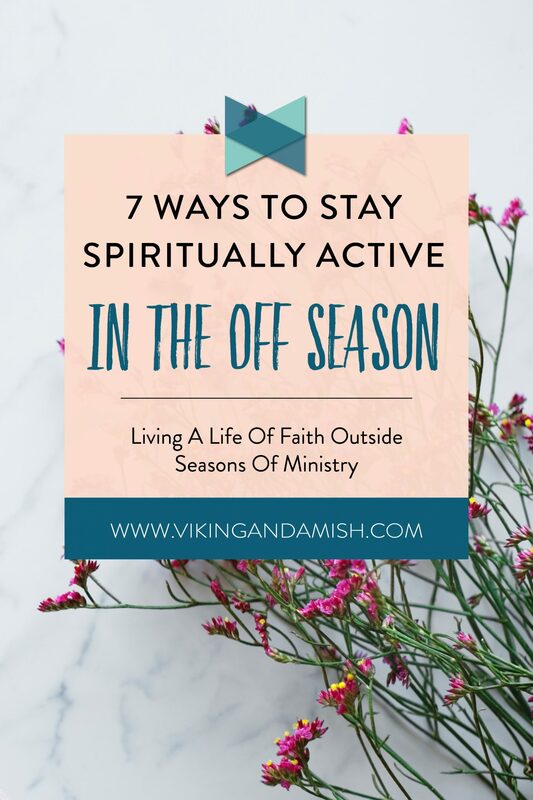 So, how do I stay active in my faith? I don’t feel at all that I am spiritually rusting. 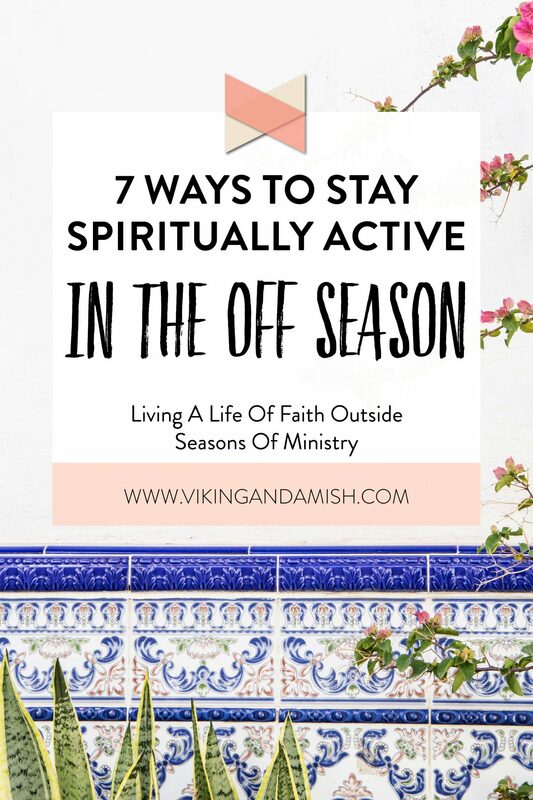 As a matter of fact, I sense that though I am missing out on a lot of organized ministry, God is teaching me new things and also letting me rest and recharge for ministry in the future. I guess living a life of faith has put me in a stable place where I also have faith that my relationship with God won’t change based on how much work I do for Him. I have found three areas in which I have learned to honor my community in this offseason. I am using my years of project management in ministry, and my skills in communication to help out locally. Though it is not directly ministry, I still get to become close friends with people outside my little Christian bubble. Also, and I am never in lack of things to pray for. As I always meet people who are struggling and who need encouragement, I actively get to join God in His concerns and vision for others. Additionally, I have found myself being surprised by the inkling of the Holy Spirit. I’m now noticing people I usually wouldn’t. It starts with an impression on my heart that I need to ask them about certain things. So far, I have only had good experiences with this, and it has to lead to a lot of people feeling encouraged and seen when they needed it. I am enjoying getting to know my friends from ministry on a deeper level, now that there are no tasks ahead of us. I have been able to build closer and stronger friendships with people that I no longer work with. Now we are “just” friends, and I think that is a beautiful thing. Since I don’t work with these people daily, I can steer my focus on things that help or bless people. I also have more time to stay connected or re-connect with people that live further away. 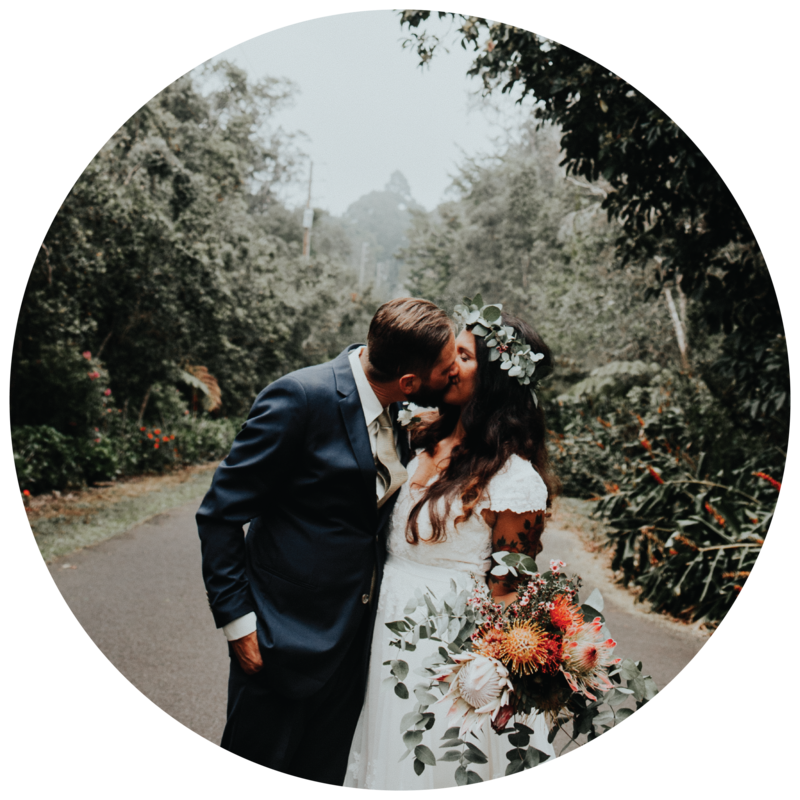 I find myself having more grace and love for friends since the relationship is the most important things—not our common task. I know, how is that even possible? Don’t get me wrong—I love the Bible and what I learn from it, but I didn’t realize how much it had become a work tool for me when I did ministry. The Bible was my manual, and it was helpful. Now that I am not active in ministry my Bible has become more of an exciting suspense novel. My study time focuses less on solving individual problems and more lead by my interest and understanding the Bible’s broader themes. Give me a problem, and I will find a way to fix it. I love to solve issues, finish goals, and get it done. I am recently reading a book on spiritual gifts. One of the gifts that resonate in my heart is what I am learning about the Gift of Wisdom. God’s spirit can supernaturally help in conflict resolution and solving crises. 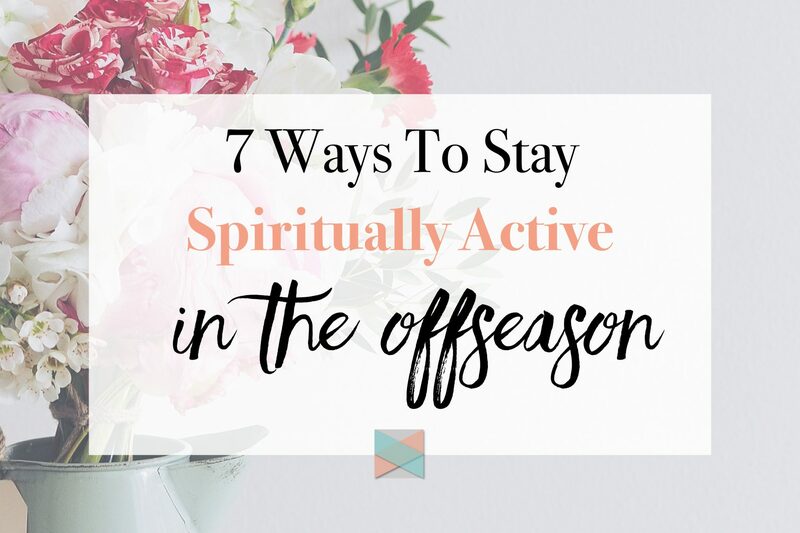 As I have always been a get-it-done powerhouse, and since I don’t have daily ministry tasks at the moment, I am learning to use energy, skills, and gifts in new ways. This really challenges my emotions, my way of approaching conflicts, and how I deal with pursuing my vision. I am learning to trust God more through it, and rely on Him in situations my natural gifts would habitually take over. I don’t have children yet, but I do have a big family. I often tell my friends, in good fun, that the reason why I’m so bossy is that I have five younger siblings. Recently, as a family, we have gone through some real ups and downs. Jeff and I traveled to Europe for my sister’s wedding a little while ago and we were so excited to spend some time with family in this offseason. But, the day before the wedding we got news that my cousin had passed away in her sleep. We were mortified. Emotionally we were pulled in two very opposite directions. A wedding and a funeral. Nonetheless, it has been a long time since I felt so “called” to be there for my family. Getting to celebrate, love, enjoy, care for, cry with, and minister to my family at that time was such a privilege. I am thankful that I wasn’t busy with other things at the moment so I could whole-heartedly be there. Of course, for me, this is considered off-season. I will jump back into ministry as a lifestyle missionary again. Though I might not do ministry full-time, I think it is important to remember that as Christians we are called to live a lifestyle that is missional. I will write a post about lifestyle missions soon. It is a core passion of mine and the pillar of the Christian community that I am part of. I hope you were encouraged and blessed by this article. I pray blessings and grace over you.